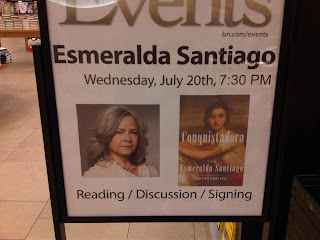 Best known for her memoir, WHEN I WAS PUERTO RICAN, Esmeralda Santiago conquered the crowded events room last night at the 86th Street Barnes and Noble. Esmeralda began her book tour for CONQUISTADORA in Puerto Rico last week. If you missed her last night, not to worry she will be back. 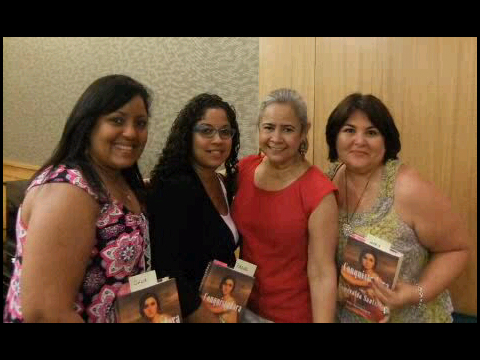 Esmeralda will be at the Brooklyn Book Festival on September 18, and at El Museo del Barrio on September 28. 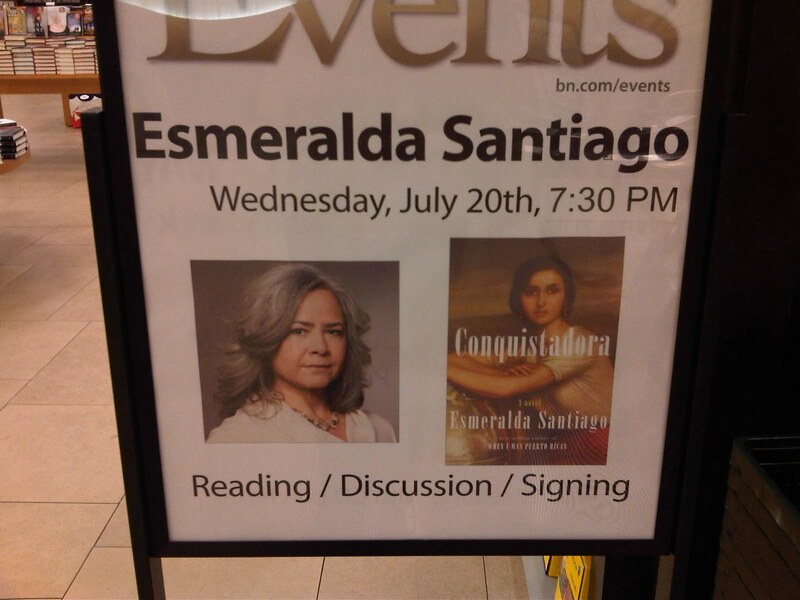 For more information on Esmeralda visit her on http://www.esmeraldasantiago.com/. Comadres Julia, Raquel, Esmeralda, Maria. 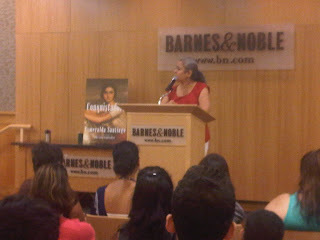 Esmeralda speaking about new book.